There’s a theory that playing chess from a young age develops certain parts of a child’s brain develop quicker than normal, especially areas relating to strategy. 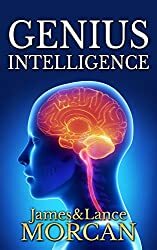 We explore this in our new release book GENIUS INTELLIGENCE: Secret Techniques and Technologies to Increase IQ. English primary school children play chess. In our international thriller series The Orphan Trilogy, our fititious orphans play rapid-fire matches known as Lightning Chess in which entire games are completed in 10 minutes or less. Playing Lightning Chess and multiple games (of chess) simultaneously relates to thinking so fast that the conscious mind must yield to the superior subconscious — another intelligence-enhancing technique. It has been recognized by many observers that chess players often have very high IQ’s and seem to exhibit many of the telltale signs of genius. What does it do to a child’s brain to play chess from a young age? Nobody knows for sure and test results remain inconclusive to date. No doubt it is a difficult thing to study precisely given it requires studying young chess players over years if not decades. Experimental results, however, have been collected from the likes of the Grandmaster Eugene Torre Chess Institute, in the Philippines, and the United States Chess Federation as well as other chess schools around the world. All these bodies agree that playing the board game increases intellect in young people. Plus a few small studies have also shown that chess players develop better memories, verbal skills, mathematical abilities as well as healthier problem-solving skills and imaginations than the average person. For example, a 1995 research study on chess and students was conducted by American cardiologist Dr. Robert Ferguson. It showed that chess improves a child’s critical thinking skills. Ferguson’s subjects, who were all school students aged between 11 and 14, improved their test results by 17% on average after becoming proficient chess players. 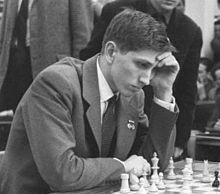 Chess champ Bobby Fischer started playing at age six. An article that appears on the neuroscience and brain health website Examined Existence provides further insights into the potential link between chess and high intelligence. Headlined Does Playing Chess Make You Smarter?, the report boldly states that chess definitely improves IQ.